A method in a generic class can be overridden just like any other method. For example, consider the following program in which the method getT( ) is overridden. 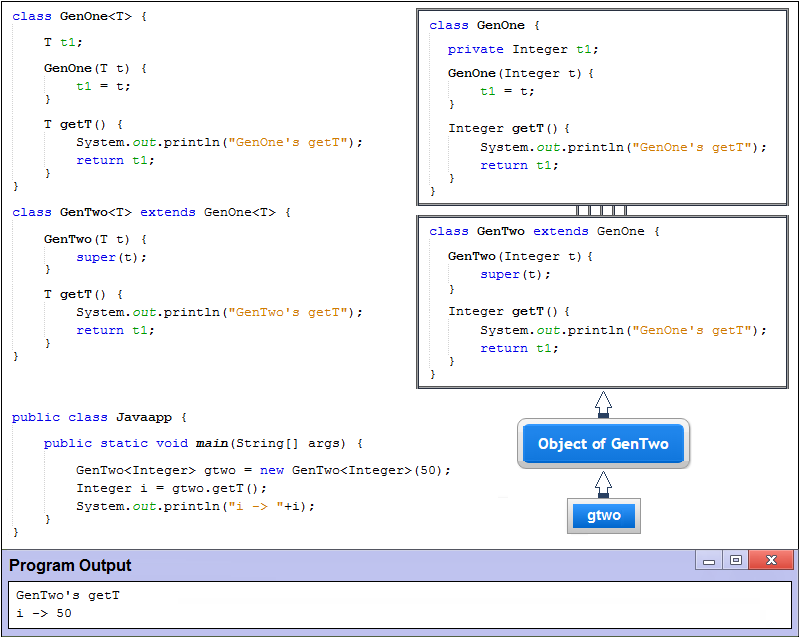 As the output confirms, the overridden version of getT( ) is called for object of type GenTwo, but you can call the superclass version via GenOne object.